This weekend one of my close friends came over to spend the evening at our place. The highlight of the evening was the Chicken Biryani which she had been lusting after ever since she saw it here. So she self-invited herself and we over-stuffed ourselves over conversations about food! When it comes to food we never know when to stop… eating as well as talking about it. So inevitably the blog came up and she asked me what I plan to put up next… I had not really thought about it, but I vaguely mentioned that I was planning to make Dal the next day after a weekend of heavy food. Her eyes immediately lit up as she exclaimed that it is perfect and started telling me how everyone loves a good Dal. Apparently every-time she takes this simple lentil preparation to office, there is a mad scramble amongst the European colleagues. So that settled it – Dal was going to be up next! I have never understood this love for Dal, but I must say I can’t go too many days without it either. I always attributed it to Indian eating habits as it is a staple in all Indian homes. Since we eat so much rice, there always has to be some sort of curry to go with it and this is the simplest “go to” dish for all Indian moms. Also it accompanies all vegetarian and non-vegetarian sides perfectly. Although, Indian restaurants all over the world serve the famous Dal Fry, let me tell you, that is not the Dal most Indians eat on daily basis at home. It is way too heavy, fatty and greasy. We prefer a more simple concoction which is healthy and light on the stomach. 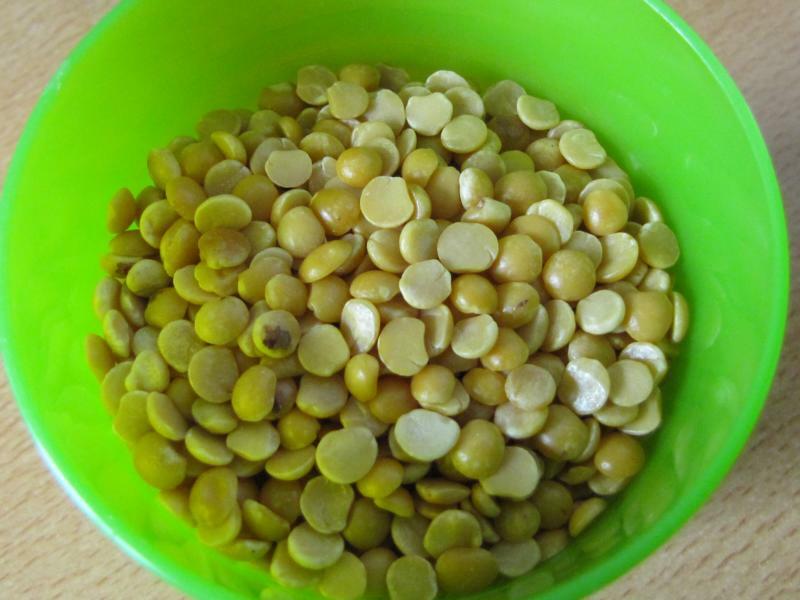 I mostly use toor dal, but other types of lentils such as masoor and moong are also good and healthier choices. Since most lentils take long time to cook, Indians prefer to cook them in a pressure cooker. It can also be done in a pan, but the cooking time will be quite long. I add some salt, turmeric powder, little onion, tomato, green chili, and garlic. Once this is cooked, which barely takes a couple of minutes in the pressure cooker, you add the tempering. I typically use mustard seeds, curry leaves and whole red chilies. Regular vegetable oil can be used for the tempering. Little butter or ghee is even better. There are lots of different version for tempering… or to make simple home-made Dal… This is merely one of the simple versions. 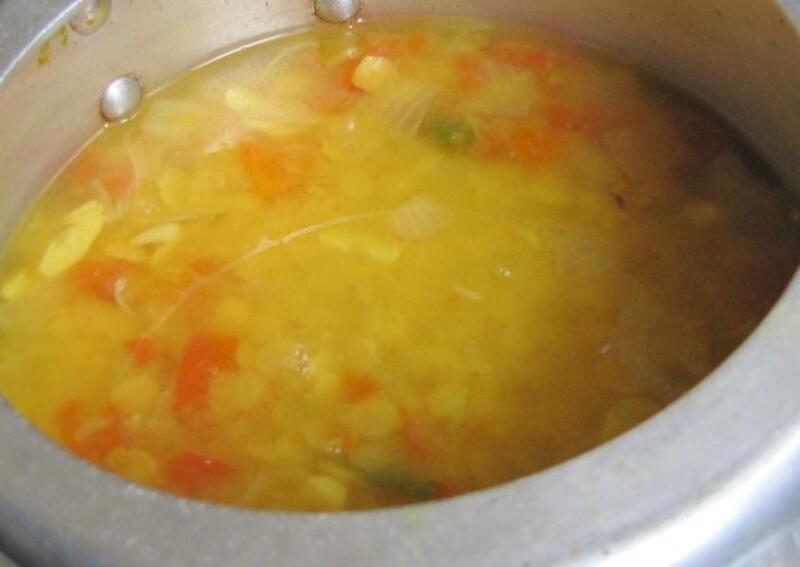 Cook the toor dal, onion, tomato, green chili, garlic, turmeric powder and salt with the water in a pressure cooker. Cook till one whistle comes and then reduce the flame and switch off the gas after 3 minutes. If cooking in a closed pan, add all the ingredients and cook till the toor dal is soft. You may need to add more water in this method. Make sure it is not too watery. Once cooked, set aside. Immediately, prepare tempering. 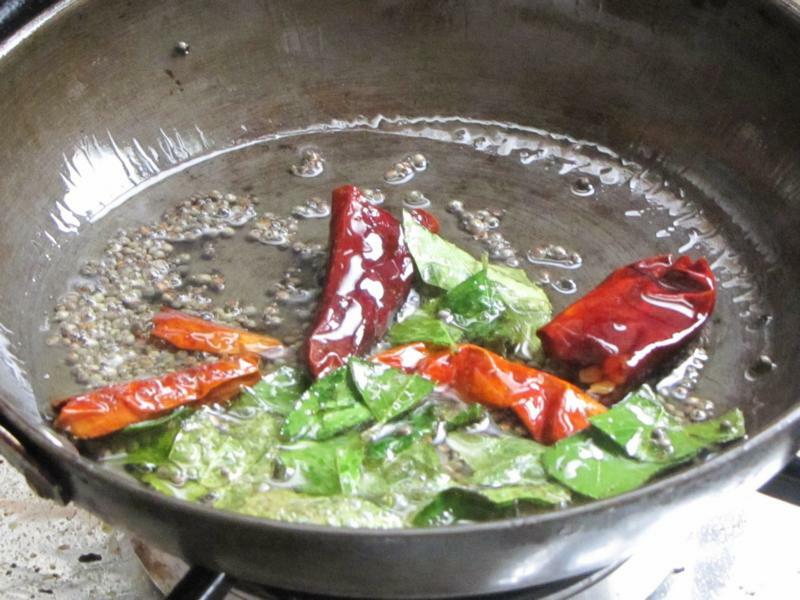 Heat oil or ghee in a small pan, throw in the mustard seeds. Once it starts to splutter add the whole red chili and curry leaves. 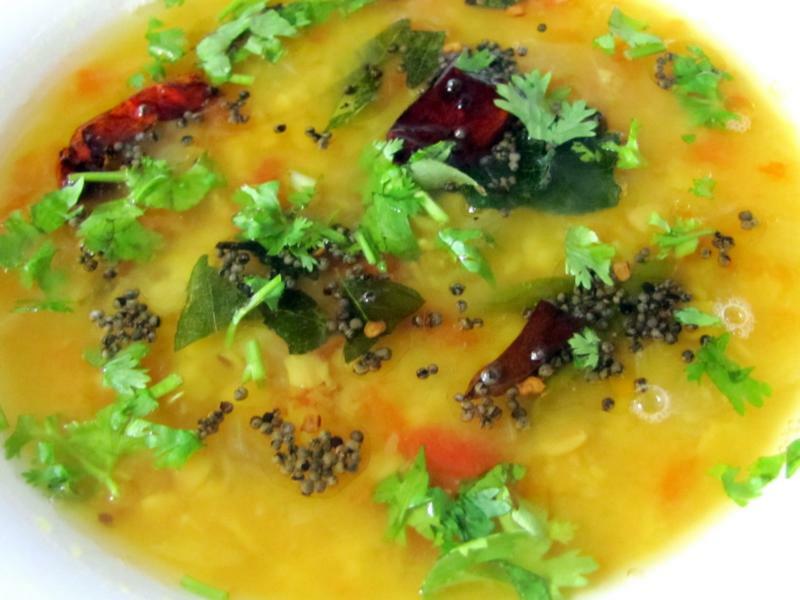 Pour this over the hot cooked Dal and garnish with coriander leaves. I love yellow dhal. This looks delicious. Thanks for sharing! Thanks Liz. Hope you have a great weekend too!